Inside the ice giant planets, like Neptune and Uranus, a new study from SLAC National Accelerator Laboratory explains how diamonds form from carbon and hydrogen. Methane forms hydrocarbon chains that form “diamond rain” from the high pressure and temperature present inside the ice giants. The researchers were able to recreate a similar condition through the use of high-powered optical lasers and thus they watched the small diamonds form with X-rays. 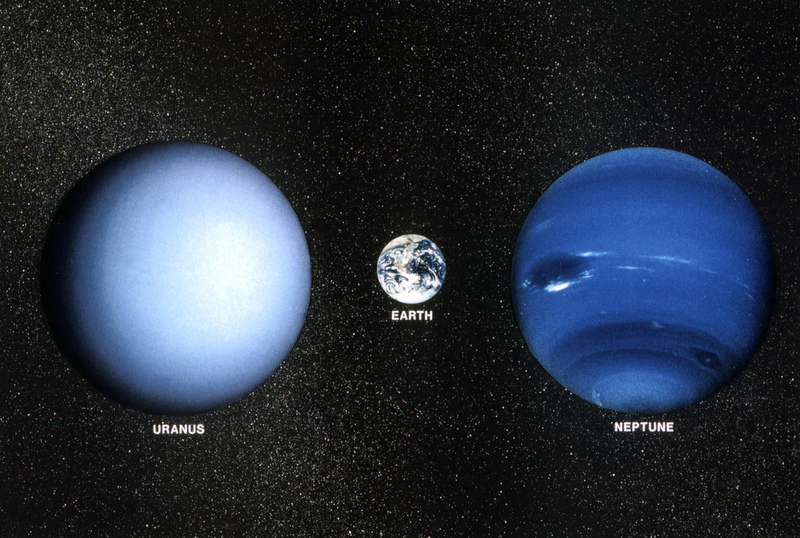 The researchers believe that on Uranus and Neptune the size of the diamonds would become much larger, potentially millions of carats in weight. In addition, they believe that over thousands of years as the diamonds sink through the layers of ice they could make a layer around the core of the planet. Previous attempts at recreating the conditions to produce diamond rain were unsuccessful in capturing the measurements in real time. Today’s technology has allowed the researchers to directly measure the chemical reaction in which tiny diamonds form for a very short time in the laboratory through the use of high-energy optical lasers combined with LCLS’s X-ray pulses.